Author information: Jeroen Van Bouwel, Ghent University, Belgium, jeroen.vanbouwel@ugent.be; Michiel Van Oudheusden, SKC-CEN Belgian Nuclear Research Centre and University of Leuven, Belgium. Van Bouwel, Jeroen and and Michiel Van Oudheusden. “Beyond Consensus? A Reply to Alan Irwin.” Social Epistemology Review and Reply Collective 6, no. 10 (2017): 48-53. Van Bouwel, Jeroen and Michiel Van Oudheusden. “Participation Beyond Consensus? Technology Assessments, Consensus Conferences and Democratic Modulation.”Social Epistemology (2017): 1-17. doi:10.1080/02691728.2017.1352624. Irwin, Alan. “Agreeing to Differ? A Response to Van Bouwel and Van Oudheusden.” Social Epistemology Review and Reply Collective 6, no. 10 (2017): 11-14. We are grateful to Alan Irwin for his constructive response, “Agreeing to Differ?” to our paper and, notwithstanding differences between his view and ours, we agree with many of his comments. In this short rejoinder, we zoom in on the three main issues Irwin raises. We also use this opportunity to highlight and further develop some of our ideas. How to understand consensus? Rather than, or along with, a thin ‘Anglo-Saxon’ sense of consensus as mutual agreement, one could adopt a thick conception of consensus, implying “faith in the common good and commitment to building a shared culture” (Irwin 2017). The thick sense (as enacted in Danish culture) suggests that disagreement is an integral part of consensus. Therefore, we would do well to pay more attention to conflict handling and disagreement within consensus-oriented discourse. Why are so many public participation activities consensus-driven? We should question the institutional and political contexts within which consensus-seeking arises and how these contexts urge us to turn away from conflict and disagreement. And, why do public participation activities persist at all, given all the criticism they receive from various sides? Should we not value the art of closure, of finding ways to make agreements, particularly in view of the dire state of world politics today? These are legitimate questions and concerns, and Irwin is right to point them out. However, we believe some of the concepts discussed in our paper are helpful in addressing them. Let us start with the first issue Irwin raises, which we will link to the concept of meta-consensus. It is indeed helpful to draw a distinction between the thinner Anglo-Saxon sense of consensus and the thicker sense of consensus as faith in the common good, as Irwin suggests. In the latter sense, disagreement and dissensus can be seen as part of the consensus. We fully agree with Irwin that consensus and dissensus should be thought together rather than presented only in terms of contradiction and opposition. This is why we analytically distinguish a (simple) consensus from a meta-consensus. As we sketch in our article, at the simple level, we might encounter disagreement and value pluralism, whereas at the meta-level, the meta-consensus provides a common ground for participation by explicitly or implicitly laying out the rules of engagement, the collective ways to handle conflict, and how to close or disclose discussion. The meta-consensus also impinges on the scope of issues that is opened to discussion, who may or may not participate, the stopping rules, the structure of interaction, and the rationales and procedures that guide participation in general. We have sought to put this meta-consensus center stage by comparing and contrasting how it is enacted in, or through, two participation cases (participatory TA and the NIH consensus conference). In this way, we seek to give due attention to the common ground that enables and constrains consensus and dissensus formation, and to different institutional designs impinging on participation, without insisting on the necessity of a simple consensus or the need for closure. Drawing attention to the meta-consensus that governs participation may help to facilitate more reflexive modes of engagement that can be opened to joint discussion rather than imposed on participants. It should also help participants to better understand when and why they are in disagreement and determine courses of action when this is the case. As such, it may contribute to “building a shared culture” by facilitating and by establishing a shared adhesion to the principles of inclusion, mutual listening, and respect (cf. Horst and Irwin 2010; Irwin 2017). However, we believe it is equally important to emphasize that there is always the possibility of dissensus, irreconciliation, and further conflict. As we see it, entertaining this possibility is an important prerequisite or condition for genuine participation, as it creates an open and contested space in which participants can think, and engage, as adversaries. Thus, we concur with Irwin that consensus and dissensus both have a place in public participatory exercises (and in the public sphere more generally). However, when we are faced with a choice between them (as with fundamental disputes, such as those over abortion or human enhancement), we must carefully consider how, whether, and why we seek (dis)agreement. This is not to argue against consensus-seeking, but to insist on the importance of constructing and sustaining an agonistic, contestable order within participation. Irwin appropriately proposes to reflect more on the institutional and political contexts in which participation is organized. The question why we aim for consensus in public participation activities, as well as the broader question of why public participation activities persist at all, do indeed deserve more attention. We have not addressed these questions in our paper, but we do think being more explicit about the aims of participation is an integral part of the approach that we are advocating. In order to discuss and choose among the different democratic models of participation (aggregative, deliberative, participatory, and agonistic), it is imperative that we understand their political, economic, and social purposes or roles and make these explicit. Similarly, we may ask how the models serve different aims within specific institutional and political contexts. Here, the notion of political culture springs to mind, as in our region (Flanders) and country (Belgium), conflicts and divisions between groups are often managed through social concertation between trade unions, employers’ organizations, and governments. This collective bargaining approach both challenges and complements more participatory modes of decision making (Van Oudheusden et al. 2015). As mentioned earlier, we do not consider this issue in our paper but it is well worthy of further reflection and consideration. Irwin also wonders whether policy makers might think our concepts and models of participation miss the point as many of them see it. It is an interesting question (we wonder whether Irwin has any particular cases in mind), but one thing we can do is to insist that there is no one-size-fits-all approach to participation. Different options are available, as each participation model has strengths and weaknesses. It seems important to us to attend to these strengths and weaknesses, as the models designate roles and responsibilities (e.g. by specifying who is included in participation and how), foresee how the collective should interact and indicate what kinds of results may ensue from participatory practice. By juxtaposing them, we get a better picture of how problems, contexts, and challenges are framed and handled differently within each participatory setting. As making trade-offs between approaches is at the heart of policymaking, we invite policy makers (and decision makers more broadly) to explore these settings with us, and carefully consider how they embed multiple social and techno-scientific values and orientations. As Irwin rightly notes in his reply, we do not propose one final alternative to existing practice but entertain the possibility of mobilizing more than one model of democracy in participation. This implies that we also allow for a consensual approach when it is warranted. However, in developing ideals that contrast with consensus, we open onto disclosure and a more agonistic appraisal of participation, thereby abandoning the ideal, and appeal, of final closure. In response to this move, Irwin wonders whether we should not value the art of closure, especially in these times. While we agree on the dire state of world politics, we are not convinced that replacing closure by disclosure would aggravate the present situation. Perhaps the contrary is true. What if the quest for consensus brought us to this situation in the first place? As the political theorist Chantal Mouffe argues, in a world of consensual politics (also characterized as neoliberal, de-politicized or post-political, or in Mouffe’s words as a “politics of the center”), many voters turn to populists to voice their dissatisfaction (Mouffe 2005: 228). Populists build on this dissatisfaction, publicly presenting themselves as the only real alternative to the status quo. Thus, consensual politics contributes to hardening the opposition between those who are in (the establishment) and those who are out (the outsiders). In this antagonistic relation, the insiders carry the blame for the present state of affairs. This tension is exacerbated through the blurring of the boundaries between the political left and right, as conflicts can no longer be expressed through the traditional democratic channels hitherto provided by party politics. Thus, well-intentioned attempts by “Third Way” thinkers, among others, to transcend left/right oppositions eventually give rise to antagonism, with populists (and other outsiders) denouncing the search for common ground. Instead, these outsiders seek to conquer more ground, to annex or colonize, typically at the expense of others. Whether one agrees with Mouffe’s analysis of recent political developments or not, it is instructive to consider her vision of radical, agonistic (rather than antagonistic) politics. Contrary to antagonists, agonistic pluralists do seek some form of common ground; albeit a contested one that is negotiated politically. In this way, agonists “domesticate” antagonism, so that opposing parties confront each other as adversaries who respect the right to differ, rather than as enemies who seek to obliterate one another. Thus, an agonistic democracy enables a confrontation among adversaries – for instance, among liberal-conservative, social-democratic, neo-liberal and radical-democratic factions. A common ground (or meta-consensus) is established between these adversaries through party identification around clearly differentiated positions and by offering citizens a choice between political alternatives. To reiterate, antagonistic democracy is characterised by the lack of a shared contested symbolic space (in other words, a meta-consensus) and the lack of agonistic channels through which grievances can be legitimately expressed. This lack emerges when there is too much consensus and consensus-seeking, as is arguably now the case in many (but not all) Western democracies. We therefore need to be explicit about the many aspects and different possible democratic models of participation. Rather than emphasize the need for more consensus and for closure, we would do well to engage with the notions of dissensus and disclosure. This, in our mind, seems to be a more fruitful venue to sort out various political problems in the long run than attaching to the ideal of consensus and consensus-seeking. Disclosure keeps the channels open. It is a form of opening joint discussion on the various models of participation, not with the aim of inciting endless debate but of making the most of them by reflectively probing their strengths and weaknesses in specific situations and contexts. Rather than aiming for closure beyond plurality, it urges us to articulate what is at stake, for whom, and why, and what types of learning emerge in and through participation. It should also increase our understanding of what “game” – participatory model – we are enacting. At the end of his response, Irwin raises the very pertinent question as to whether we need more disclosure now around climate change. For Irwin, “certain consensual ideals seem more important” (Irwin 2017). There are many aspects to Irwin’s big question, but let us pick out a couple and start sketching an answer. First, calling for a consensual approach or a consensus regarding climate change risks backfiring. 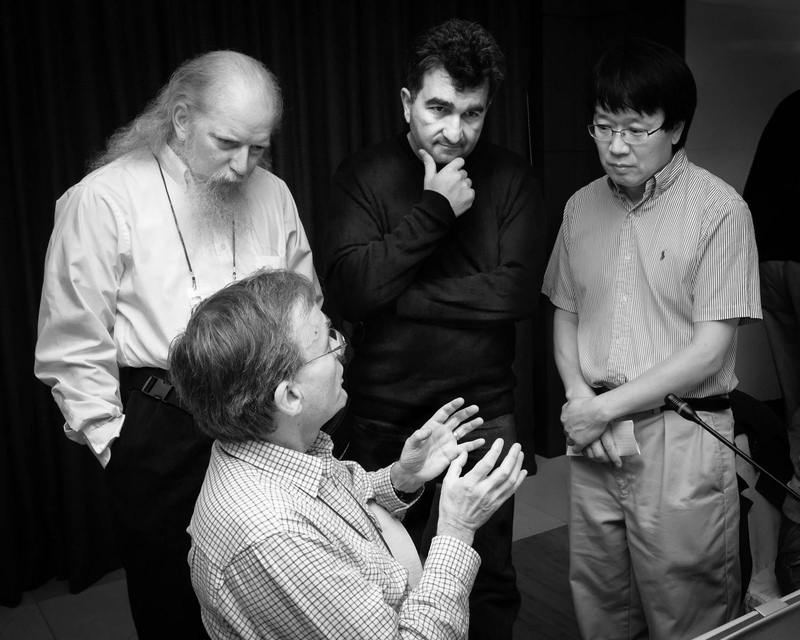 A demand for consensus in science may lead to more doubt mongering (cf. Oreskes & Conway 2010), not so much because of disagreement among scientists, but due to external pressures from various lobby or pressure groups that gain from manufacturing controversy (e.g. industry players and environmental NGOs). A lack of scientific consensus (within a framework that emphasizes the importance of achieving a scientific consensus) might, in turn, be used by politicians to undercut or criticize science or policies based on scientific evidence and consensus. Even the slightest doubt about a claimed consensus may erode public trust in climate science and scientists, as was the case in 2009 with Climategate. Second, the demand for consensus in science might also set too high expectations for scientists (neglecting constraints on all sides, such as lack of time, scientific pluralism, and so on) and suggest that dissent in science is a marker of science failing to deliver. Seen in this way, and again drawing on Mouffe, an agonistic constellation might have to be put in place, where disclosure challenges, or even breaks, the sterile opposition between outsiders and insiders. This is because disclosure requires that insiders clearly distinguish and differentiate their policies from one another, which urges them to develop real alternatives to existing problems. Ideally, these alternatives would embed a diversity of values around climate change and engender solutions that make use of the best available science without threatening a group’s core values (cf. Bolsen, Druckman & Cook 2015). To give some quick examples, a first example could center on reducing the amount of carbon dioxide and other greenhouse gases by adjusting consumption patterns; a second could insist on private enterprise-driven geo-engineering to mitigate global warming and its effects (e.g. technology to deflect heat away from the earth’s surface); a third alternative on making cash from carbon by emission-trading systems; a fourth on moving to Mars, etc. Whichever political options are decided on, we again emphasize the importance of questioning the rationales and processes of consensus-seeking, which to our mind, are too often taken for granted. Creating a more agonistic setting might change the current stalemate around climate change (and related wicked problems), by re-imagining the relationships between insider and outsider groups, by insisting that different alternatives are articulated and heard, and by publicly disclosing the divergent agendas, stakes, and power mechanisms in the construction of problems and their solutions. Thanks in large part to Alan Irwin’s thoughtful and carefully written response to our article, we are led to reflect on, and develop, the concepts of meta-consensus, disclosure, and democratic models of participation. We are also led to question the ideals of consensus and dissensus, as well as the processes that drive and sustain them, and to find meaningful and productive ways to disclose our similarities and differences. By highlighting different models of democracy and how these models are enacted in participation, we want to encourage reflection upon the different implications of participatory consensus-seeking. We hope our article and our conversation with Irwin facilitates further reflection of this kind, to the benefit of participation scholars, practitioners, and decision makers. Bolsen, Toby; James Druckman, and Fay Lomax Cook. “Citizens’, Scientists’ and Policy Advisors’ Beliefs about Global Warming.” Annals of the AAPSS 658 (2015): 271-295. Horst, Maja; and Alan Irwin. “Nations at Ease with Radical Knowledge: on Consensus, Consensusing and False Consensusness.” Social Studies of Science 40, no. 1 (2010): 105-126. Irwin, Alan. 2017. “Agreeing to Differ? A Response to Van Bouwel and Van Oudheusden.” Social Epistemology Review and Reply Collective 6, no. 10 (2017): 11-14. Oreskes, Naomi and Erik Conway. 2010. Merchants of Doubt: How a Handful of Scientists Obscured the Truth on Issues from Tobacco Smoke to Global Warming. London: Bloomsbury Press. Mouffe, Chantal. “The Limits of John Rawls’ Pluralism.” Politics, Philosophy and Economics 4, no. 2 (2005): 221-31. Van Bouwel, Jeroen and Michiel Van Oudheusden. 2017. “Participation Beyond Consensus? Technology Assessments, Consensus Conferences and Democratic Modulation.” Social Epistemology 31(6): 497-513. Martini, Carlo. 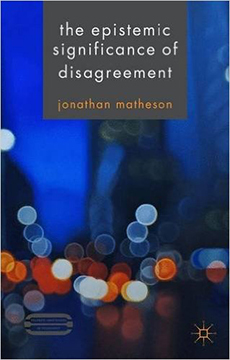 “Review of Jonathan Matheson’s The Epistemic Significance of Disagreement.” Social Epistemology Review and Reply Collective 5, no. 4 (2016): 29-32. Matheson, Jonathan and Katie V. Rivers. 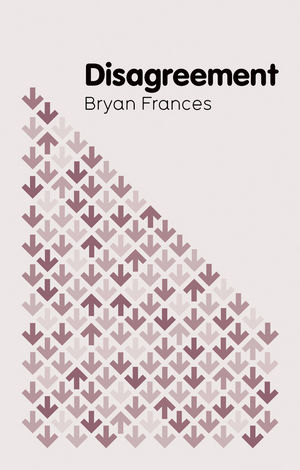 “Taking Issue: A Review of Bryan Frances’ Disagreement.” Social Epistemology Review and Reply Collective 5, no. 1 (2016): 7-9.